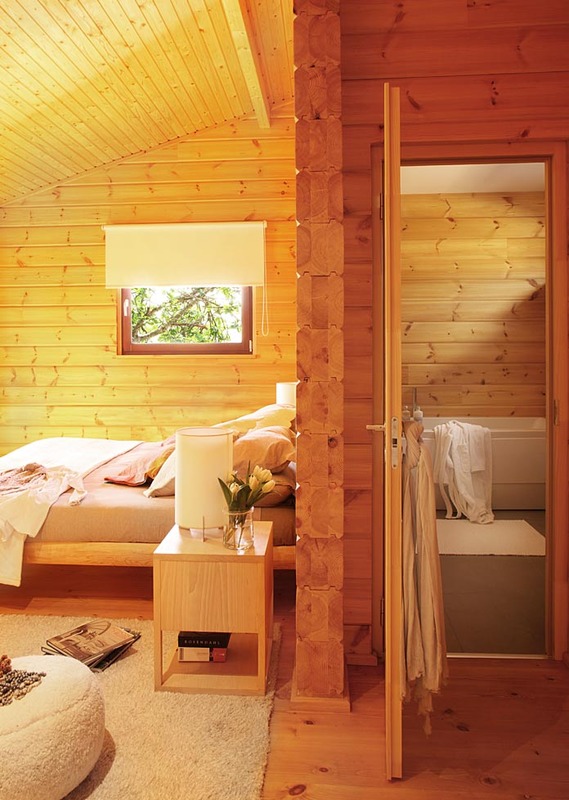 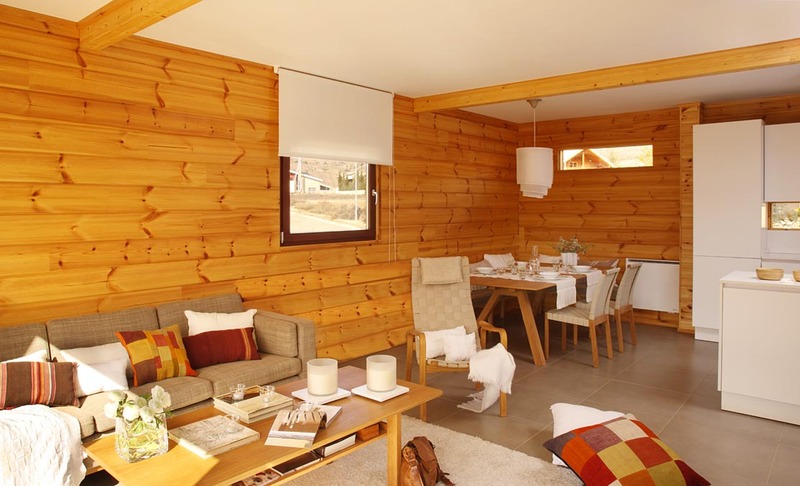 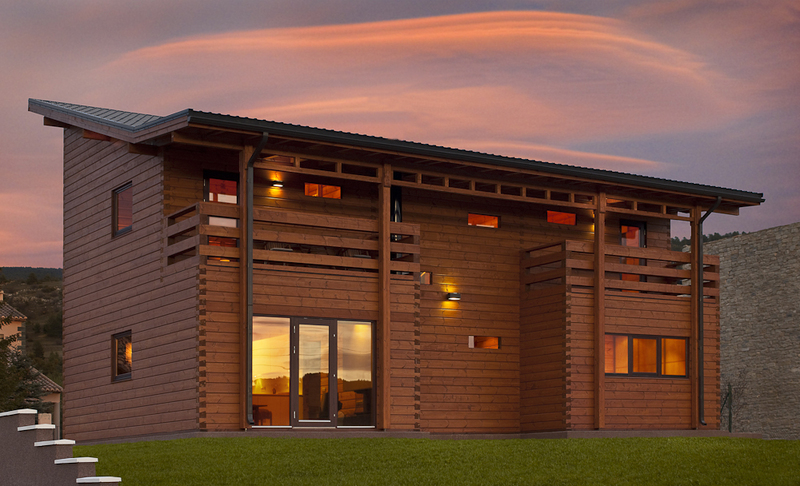 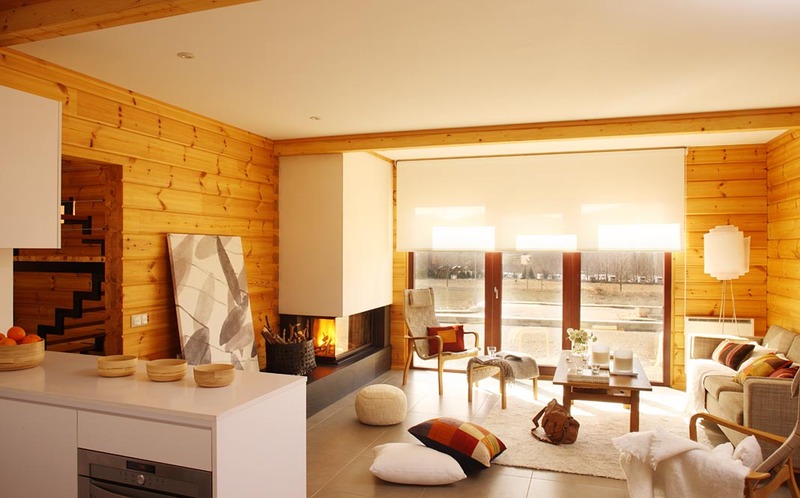 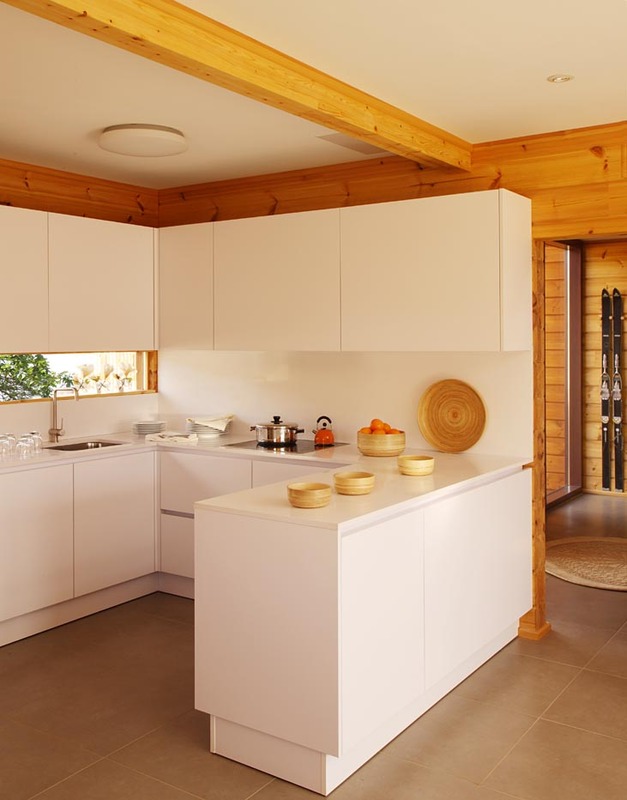 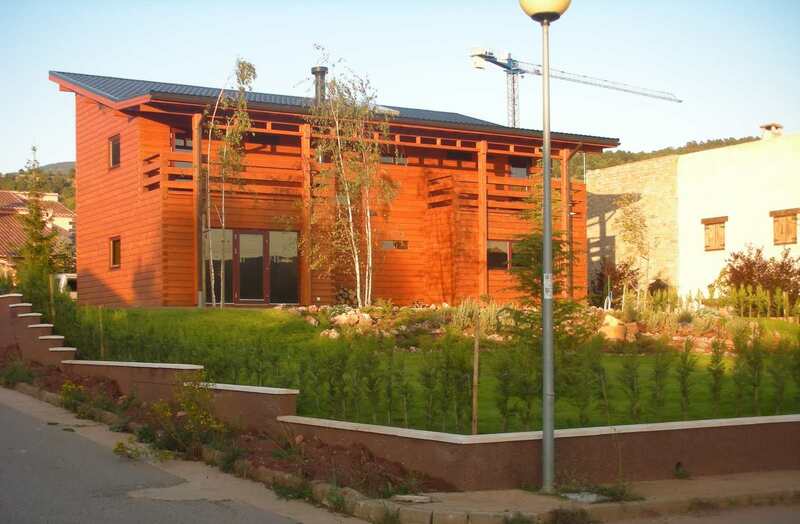 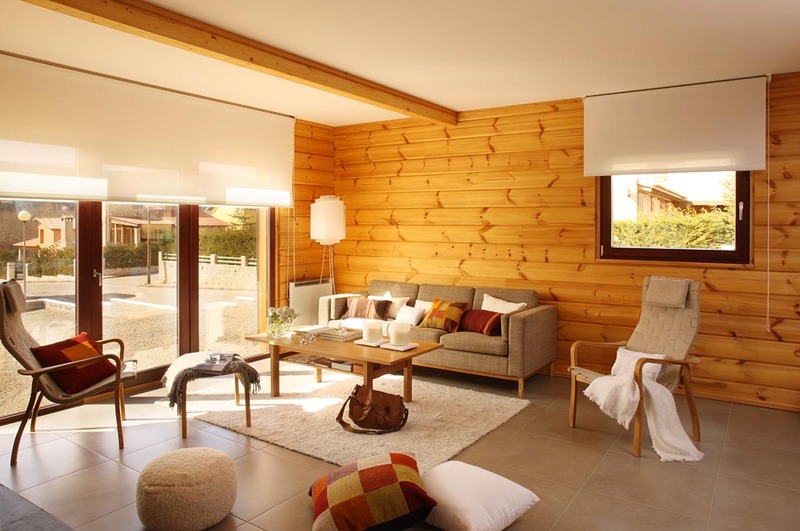 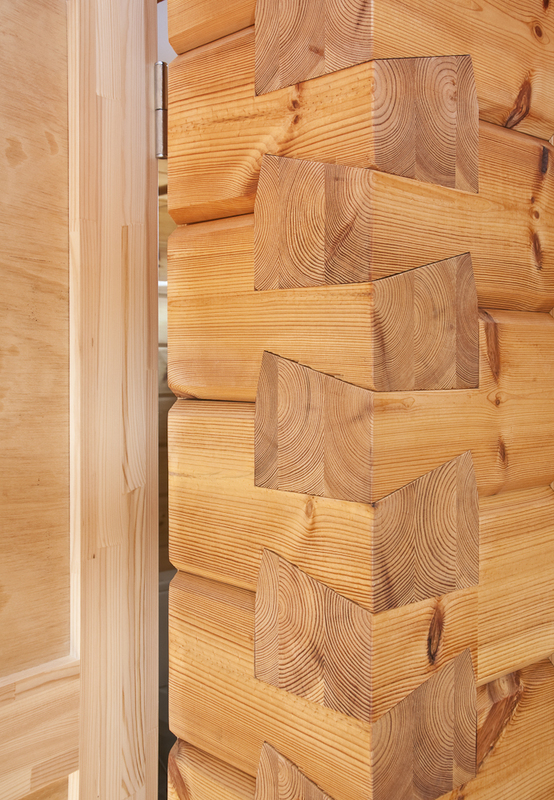 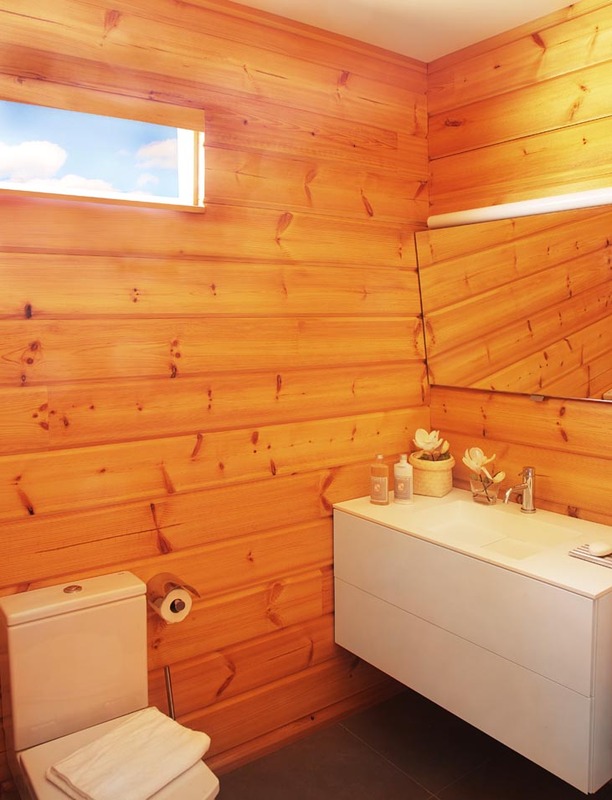 This modern dovetail log home on photos was produced and built in 2009 according to a clients drawings in Spain. 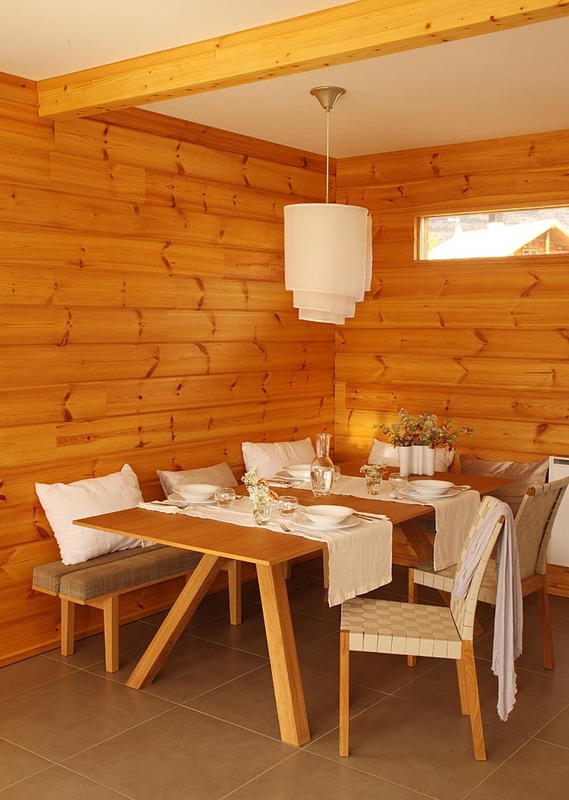 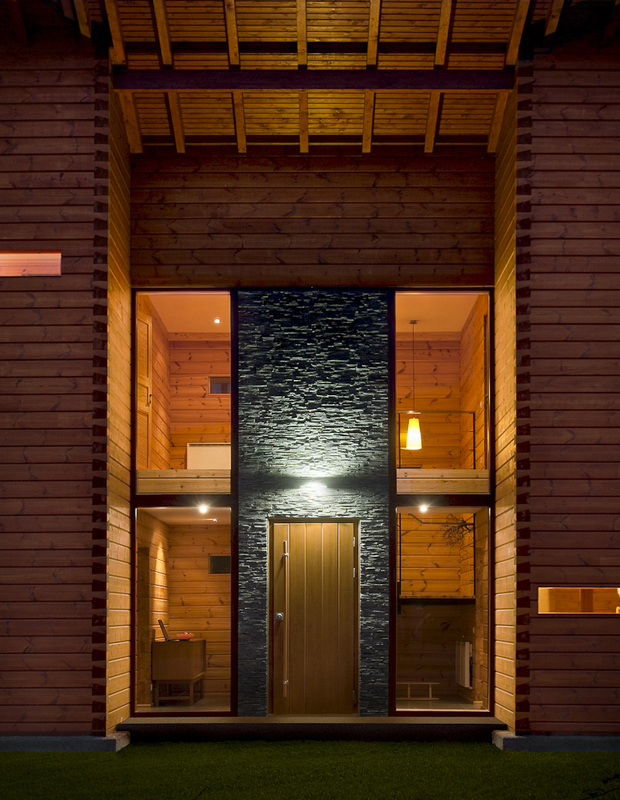 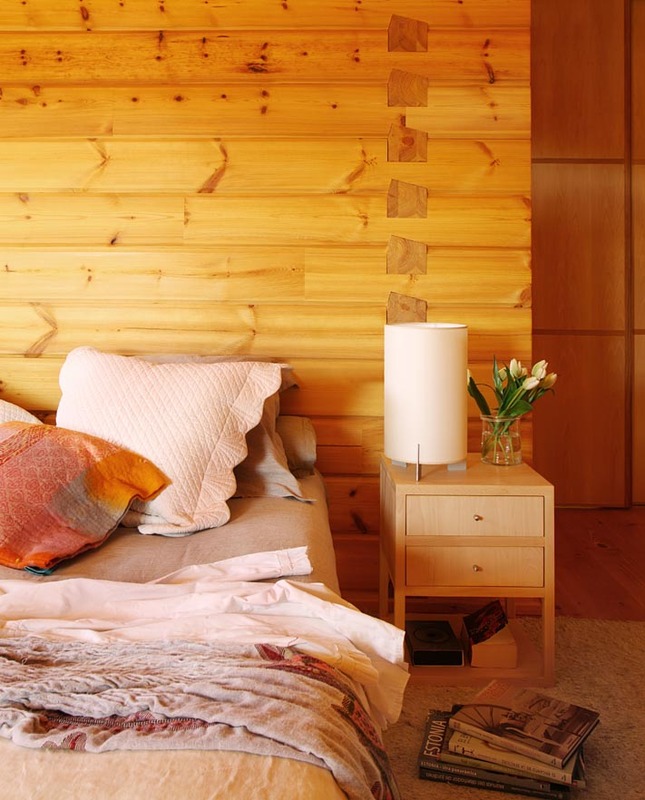 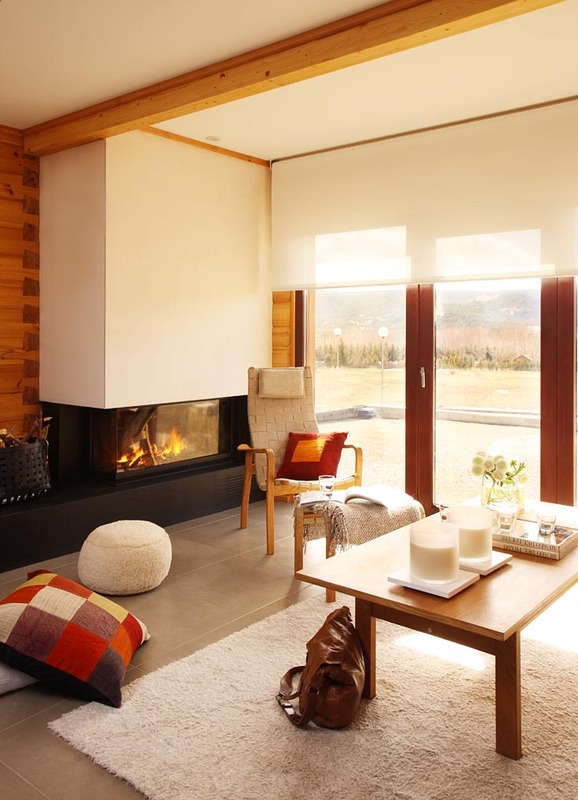 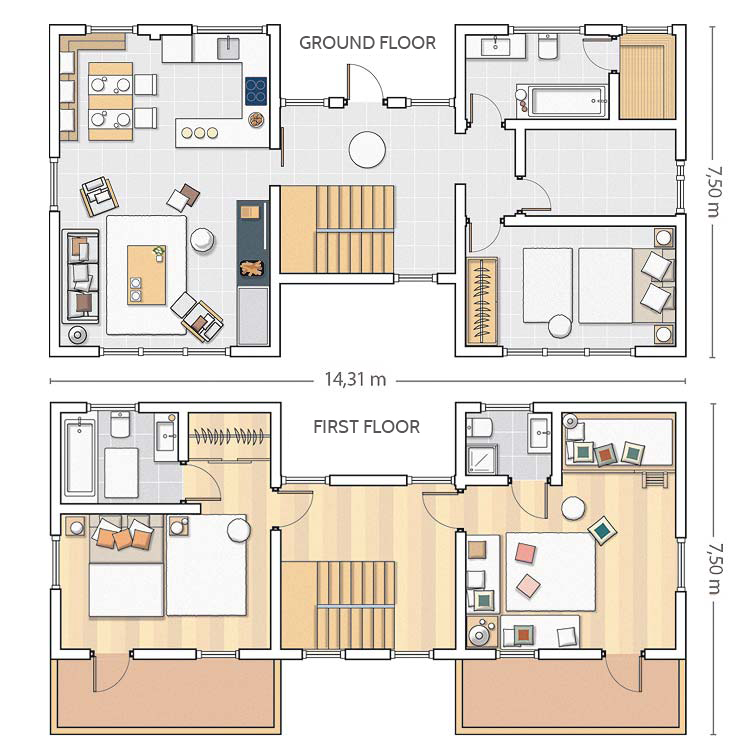 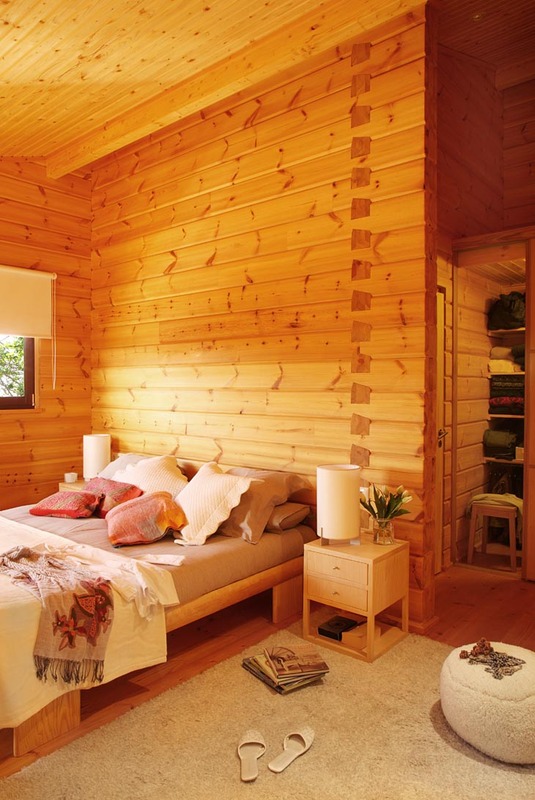 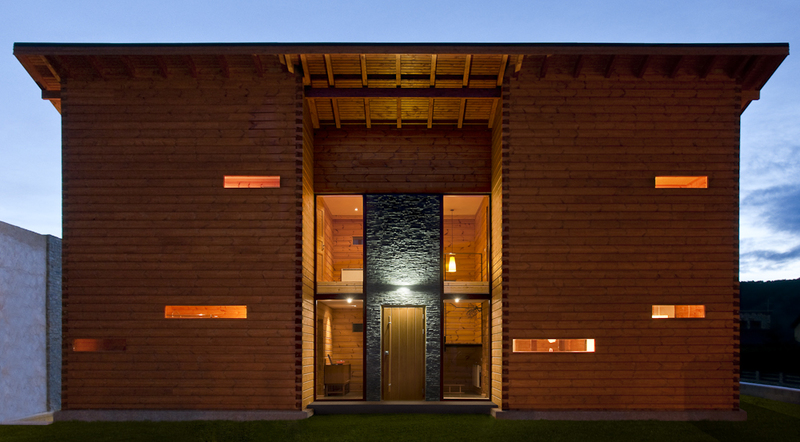 We call this modern log cabin 'Nordicasa 180'. 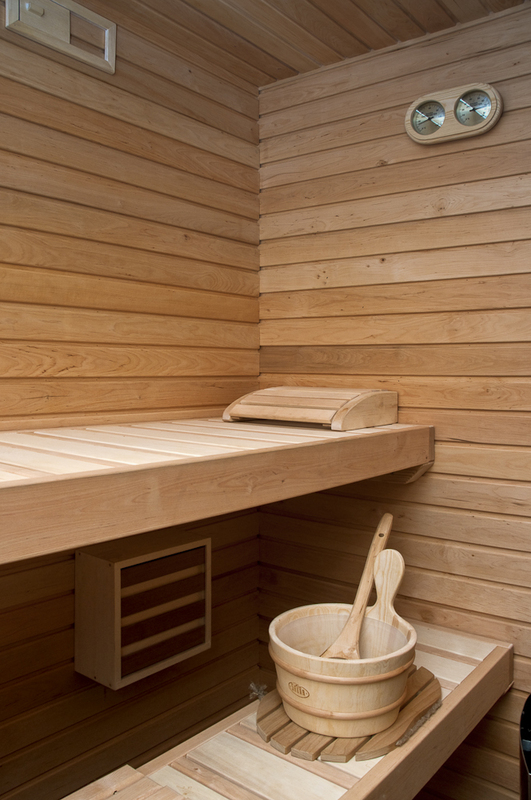 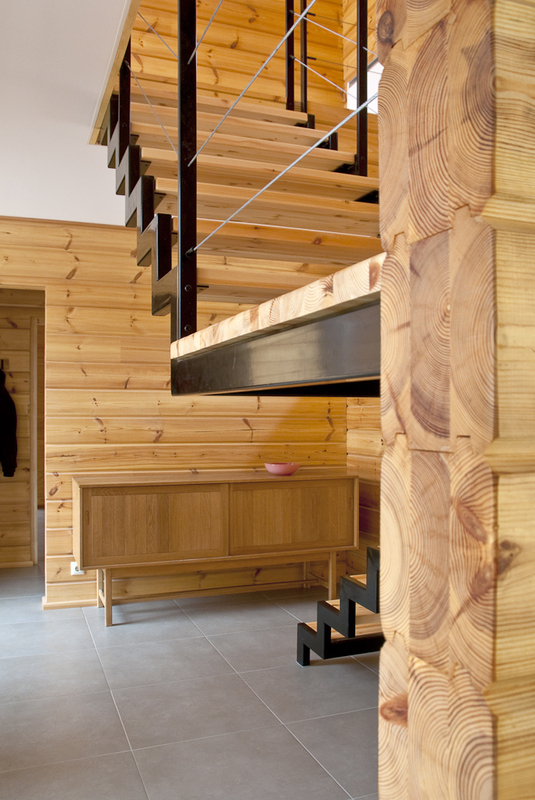 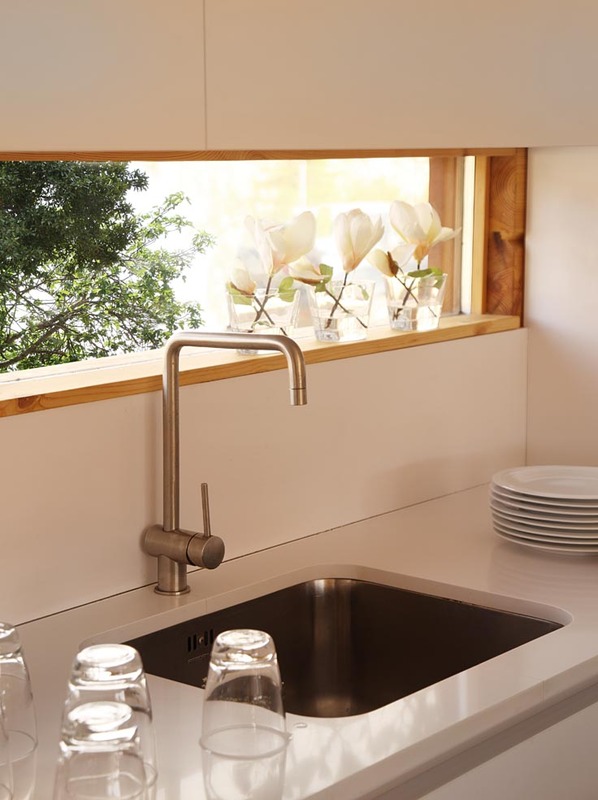 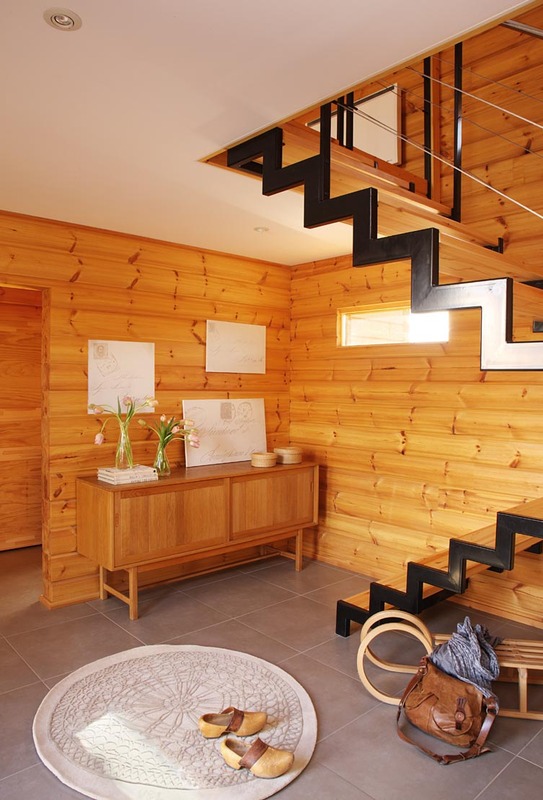 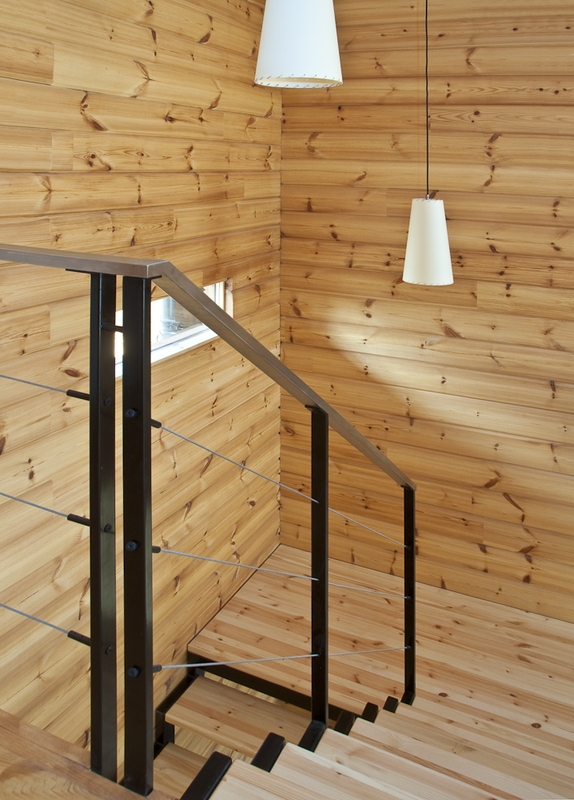 It was built of 180 mm thick laminated spruce beams. 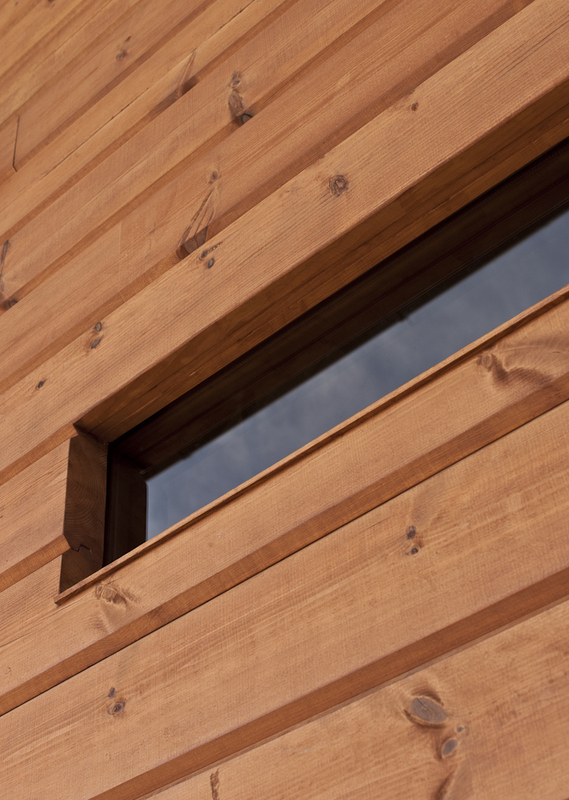 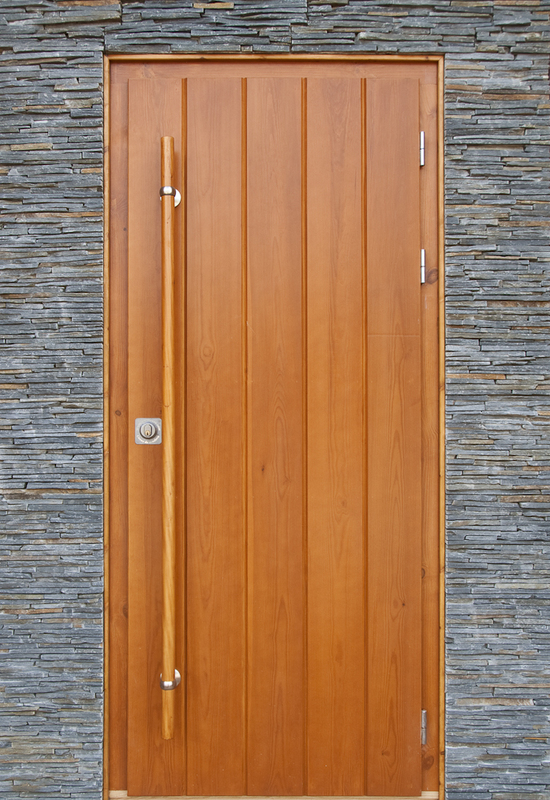 If client wishes, it can be done with thicker exterior walls: 202 mm or 240 mm.